Find an inexpensive, stable real estate market and become a local property expert. Find private investors and a mentor who has done more than 500 deals to help you learn. Owner-financed real estate is always profitable. I financially retired at 28 with $22,000 per month in real estate investment positive cash flow. I still work today, but only because I choose to do so. I developed this positive cash flow, but not through family connections or wealth. Growing up, my family was very poor in a small Texas town. We often had to choose between buying food or paying the electric bill. Still, I built a sizable portfolio of distressed, single-family homes in Texas — all owned in cash. It has always been an excellent investment in property for me. When I started in real estate in 2001, I was in college in Boston. I couldn’t buy a doghouse with the $25,000 I had from the stock market. So, I flew back to Texas after graduation. I gave Austin a shot — I couldn’t buy a treehouse in Austin. Diverse and healthy job market, not just oil and gas. This is a very good city for fixer upper homes under market value. I bought my first house for $25,000, rehabbed it for $5,000 and made 10 percent annually by renting it out. That was the beginning. Lesson learned: Avoid real estate markets with high entry costs if your capital is limited. Lower-cost cities are much easier for beginners to invest, especially in distressed sales. Avoid real estate markets with high entry costs if your capital is limited. I had my first property in San Antonio, but the bank account read zero. Sound familiar? Now what? I spent much of the next two years making 200 calls a week searching for private cash. Also, I went to many real estate meetings and always asked around for capital. It wasn’t easy, but after all of that, I found a few investors who loaned me over $200,000 at 7-8 percent. I used that capital over the next five years to build a large portfolio of distressed properties for positive cash flow. Lesson learned: Be ready and able to make hundreds of phone calls and knock on many doors to find private capital. In the early years, I swung a hammer and did many rehabs myself. Doing the work myself taught me to understand the little houses I invest in and what they are worth. I became a distressed property expert. I learned what a rehab should cost precisely (depending on the part of town). Also, I learned never to spend too much on a rehab. 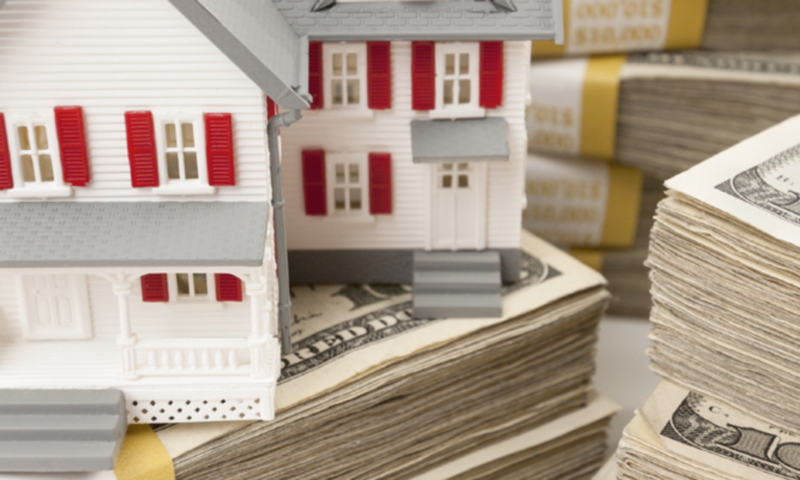 Overspending is a mortal sin of real estate investing, and it derails many investing careers. Simultaneously, I became a licensed Realtor, and spent many long hours studying the local market in the MLS. I became a true expert on my local real estate market, especially in the blue-collar neighborhoods where I buy. Being an expert has enabled me to buy houses usually at least 20 percent under market value in any real estate market in my city. Lesson learned: Learn your local market so you can get houses well under market value. Can’t find them in a hot market? OK, then go to a dozen real estate meetings in the next three months, and find an expert real estate investor who can help you find those deals. Offer to help them with their business — anything from making calls to hanging bandit signs — in exchange for helping you find under-market-value deals. Find an expert investor to help you find deals, and offer to help the investor with business. Starting in real estate investing without a mentor is like playing tennis without a racket. Every single rookie investor should work with an experienced, successful investor mentor who has done hundreds of deals and succeeded in boom and bust real estate markets. I found several in distressed sales. I found my mentors at city real estate meetings. I also went to real estate events in other cities. I got connected to some of the most successful residential investors in the country simply by networking. Lesson learned: Find a mentor who has been in the business for 10 years, has done 500 or more deals, and has made profits in the most recent real estate downturn. That’s someone you want to work with. Find a mentor who has 10 years experience, 500+ deals and profited during the downturn. In 2005, one of my successful mentors taught me that rental real estate often is profitable, but done right, owner-financed real estate is always profitable. I stopped rehabbing and renting my properties that year, and changed to owner-finance only. Now, I buy a house for cash, do $5,000-$10,000 in rehab and then resell the property with owner financing to a carefully selected buyer. This model has no ongoing maintenance or property management costs. Each house puts $500-$700 a month into my bank account, and I don’t have to do a thing. Every one of my investment properties has positive cash flow, and was bought solely for monthly cash flow from owner financing. I never buy for appreciation. Lesson learned: Think about investing strategies other than renting out houses. Owner financing is much less stressful, and the cash flow is more stable. Owner financing is much less stressful, and the cash flow is more stable. Following those five essential tips is what allowed me to retire at age 28, and you can do it, too.